Acupuncture has been used for centuries to help cure a variety of ailments. From stress and anxiety, to p ain and indigestion. 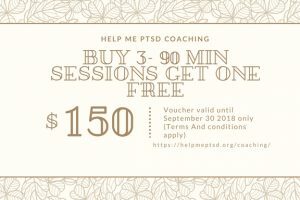 At Help Me PTSD, we believe in exhausting all possible natural remedies before heading to the most available psychiatrist for a concoction of pills that tend to have some severe side effects. Although acupuncture is one treatment modality, there are many others that can be implemented into your healing process with virtually no negative consequences. There have been extensive studies conducted on acupuncture for back and neck pain and researchers are just beginning to understand whether acupuncture can be helpful for various other health conditions. It is important to know that acupuncture is safe only when performed by an experienced, well trained practitioner using sterile needles. When looking for an acupuncturist in your area make sure to verify their license and training experience. With the recent findings about acupuncture and acupressure, we decided to find our very own licensed and highly qualified Acupuncturist. Let us introduce you to Danielle Dickshinski. Hi, my name is Danielle Dickshinski and I am a licensed Acupuncturist in Arizona. I am here to teach about acupressure for emotional well being and PTSD. There are a few misconceptions regarding acupuncture. Examples include, the needles hurting and whether or not the needles are sterile. Some of them are not true. Acupuncture should be painless. The acupuncture needles are sterile and they are one time use even each time they are used on you. There are other ways that you can use acupuncture instead of the needle, you can use acupressure. (commercial)- Hi I am Jason Lalli. Bullying is one of the biggest problems that our youth deal with in schools. It is so bad that people feel helpless, students feel helpless, teachers feel helpless and so do the school districts. If you would like some help, some guidance, some education, contact me. Maybe we can bring my program to your school! This acupressure point is to calm anxiety. The way you find it is by making a loose fist. Where you find your pinky finger landing on your palm, you’re going to open it, take the thumb of your other hand and add gradual pressure or use circular motions. While you are doing this, you are going to take deep breaths and wait until the anxiety subsides. We hope you find this article relevant and helpful. 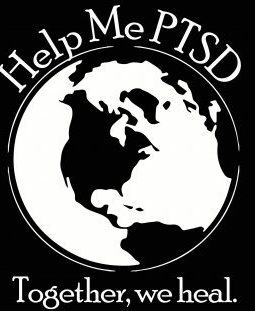 Remember to contact us with any questions about PTSD and be sure to check out our products page so you can become part of our conscious effort to make the world a better place.